4 ED(Extra-low Dispersion glass for reduced secondary chromatic aberration) glass elements. This Nikon 16-80mm f/2.8-4 VR DX is same as 16-85mm VR DX, just a stop slower and much less expensive. I don't want to write more, just go and buy the 16-85 instead. I have no idea why Nikon invest so much on this lens while there is almost same in the market ? The ones who are expecting the D800 and bored of Canon high resolution (but very bad low light results). Here it is. Resolution tops up to 36 MP. This is even beat the new D4 before you touch it. 36 MP (7,360 × 4,912 pixels (L), 5,520 × 3,680 (M), 3,680 × 2,456 (S)). Sensor cleaner. 14-bit linear ADC, 16-bit data pipelines. ISO 100 ~ 6,400, expandable to 50 (LO-1) to ISO 25,600 (HI+2). 4 fps at FX mode, 5 fps at DX mode. Who will need more? Bird catchers? You should buy D3s series fit with your expensive telephotos. One CF and one SD card slot.. May save you one day with this two options..
D800 can also work with DX / AF-S lenses but the resolution will go down to 15.4 MP (23.4 x 15.6 mm): . 4,800 × 3,200 (L), 3,600 × 2,400 (M), 2,400 × 1,600 (S). ca.3000 US$ in the USA. and appx. 3200 Euro in EU zone. 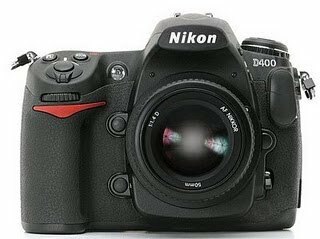 As the new D3100, D5100 and D7000 sets the market the third generation for the nikon, it is already too late to replace the D300s by the fourth generation nikon D400 very soon. The delay is caused by the double disaster hit Japan in March 2011. Expected price tag will be around 2.600US$ USA. 24 MP CMOS as a reply tp Canon 5D Mark II. Expected price tag will be around 3.990US$. As barely seen, 24mm is 4 mm wider than the 28-70mm. 24-70mm (900 gr) is 35 grams lighter, which is not a big deal. 24-70mm has 2 more ED (Extra low dispertion) glass and one nano crystal coated glass which eleminates the ghosts and flares (inner reflections) much better. 24-70mm is 11 mm longer than the 28-70. 28-70mm has the aperture ring, which makes it usable with all the non cpu SLR cameras like old film cameras. Nikon removed all this apertures and made the new generation GELDED lenses. 24-70mm can focus 10 cm closer than 28-70mm. And it has better macro ratio (1:3,7). Fastest aperture : @2.8 > Both lenses has the same values (appx. 0,5 pixels) at wide angle. but at 70mm, 24-70mm has better value. The 24-70mm f/2.8G N produces excellent results in the center, even at f/2.8. But the borders are not that good at fast (large) apertures as they are in center. As mentioned before, the field curvature is fairly visible at 24mm. If you go up to f/5.6, it is less visible. But if you are a building, flat object photographer, this lens may give you some headache with large apertures in wide angles. if the light is dim, you may go up to f/5.6 at higher iso's if you own a D90,D300s,D700 or D3 series. Field curvature is more visible in FX cameras and less in DX cameras because of the crop. The 28-70mm f/2.8D IF-ED has appx. 5-10% less sharpness (higher at telephoto end) values in center like the 24-70mm. But in the borders, the values are almost same. As a positive side, 28-70 has no field curvature problem like 24-70mm has in wide angle and large apertures. No winner here either. The distrotion level at widest angle is same, around 1% pincushion. The distrotion level at 70mm is same, around 0,2-0,3% pincushion, which is field irrelevant. Here, we have an obvious winner, the 24-70mm, thanks to Nano Crystal coating. the purple fringing is almost around 1 pixel for the 28-700 mm at wide apertures, only the half at 24-70mm. Missing "VR" property on such a pricey and handy lens is a big loss. Field curvature is also a major flaw for such high tech lens. Photographers who buy such a lens mostly have FX high end cameras and look for excellent quality. In the new series Nikon engineers may handle that.. i hope.. The 28-70mm f/2.8D IF-ED is discontinued and will be a classic soon. With 800-1.200 US$ second hand price, it is less hot than the 24-70mm. The bokeh is quite smooth on 24-70mm. Both has a very fast focusing system, but the 24-70 has more silent and faster motor. Both built quality is perfect. Feels real, not like the plastic kit lenses. For the obsessive–compulsive personality disorder photographers: Ok, do not change the order of 14-24mm , 24-70mm and 70-200mm series. 28-70mm does not fit your range, right.. Nothing to say for you. 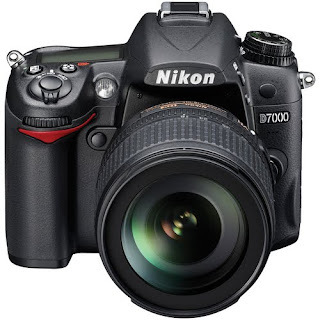 D7000 can not only work with DX / AF-S lenses but also, thanks to internal motor, with AF lenses too like D90. ca.1500 US$ in the USA. and appx. 1400 Euro in EU zone. I could not find any... As soon as i try one of this, i will write here. But it is a camera that break all the deals. If i do not own a D700 and a D5000, this may be my everyday camera for long years. 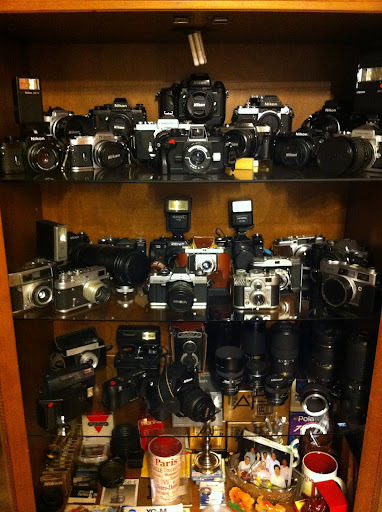 Top shelf is only old nikon 35mm fim cameras. The one on the middle front is Nikonos IV-A with 35mm UW lens. On left side, nikon original BR-2 and filters. Middle shelf right side is various collectibles including Minolta, Kodak, Canon, Russian Zenit, Walz Envoy etc. 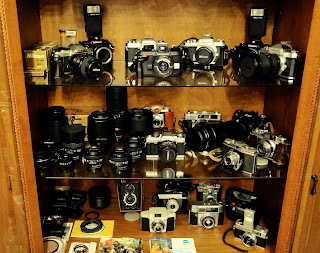 Buttom shelf is mixed, with flashes and old european and japanese cameras, point and shoot cameras like lubitar, konica, GOKO, agfa and kodak. Some filters, extension tubes, manuals too. I will recieve a nikon FE and nikon fg-20 this week for the USA. Born in 1973 in Turkey, received my degree as Mechanical Engineer and had worked at a fasteners company as managing director for about 10 years. Now, i have my own company for retailing plating chemicals. Because of my job, I have to travel so much and I have the chance to gain a lot of experience on my hobby, photography. 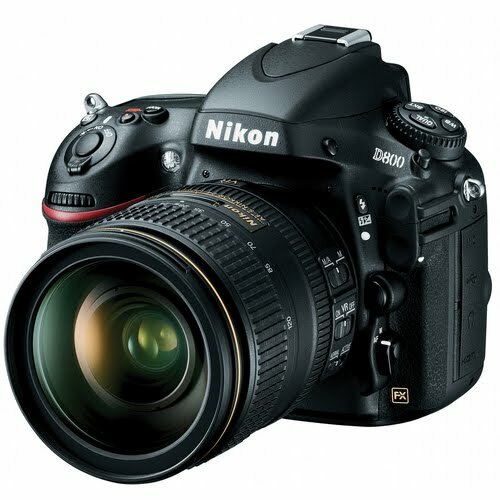 I own a Nikon D800E, D7000 and D5000 at the moment and various prime lenses. I work as freelance photographer.